Step 1: Cut out 2 of the same heart from cardboard. Step 3: Tape the strip to one heart with masking tape, then tape the 2nd heart. Step 4: Make sure you leave a small opening of your heart box open – this is where you will fill in your candy. Step 5: Cut some fringey strips of tissue paper. 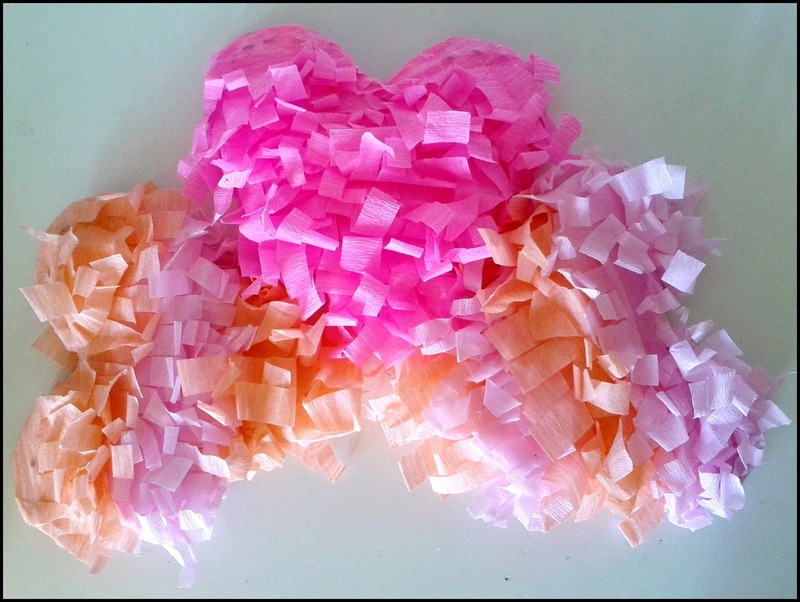 Step 6: Attach fringe strips to the top of your piñata using paper glue. Start at the bottom and work your way up. 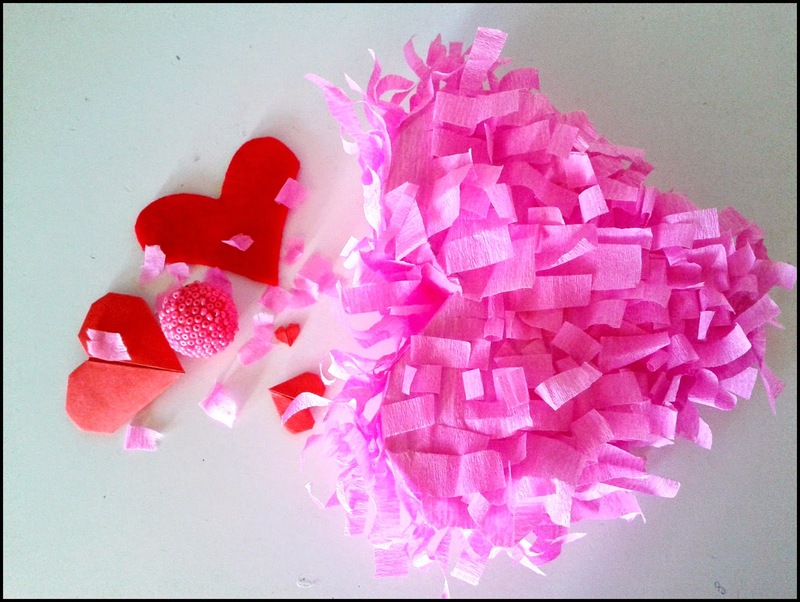 Step 7: Cut off any excess tissue paper along the heart shape. Step 8: Repeat this on the back and sides of your mini piñata. Hey! (: I'm Kate and my qualification interior decorator. I'm interested almost everything and I want to share with you. My goal is to show something new to everyone.I would like to that everybody find right topic in this blog. If you have any questions just ask. My e-mail address: keissye@gmail.com and you can find me on twitter.